When Smug Entitlement Makes me SICK. I've loved nearly all the TED Talks I've ever watched. Not just liked, but really loved. But I've just watched one which was so misguided, so downright offensive, that I am fuming with rage. Julia Query is a writer and psychotherapist with a disabled son. She talks about "Being In A Club Nobody Wants To Join" and having watched it, frankly, I don't want her to join it. Anecdote after anecdote about how horrifically prejudiced against disabled people she *used to be*, damaging oversharing to serve the purpose of taking her to an end point where she can be smug and self-congratulatory about how she is now less hateful. Woo. This wouldn't be a story, never mind a chapter of her future book, if she had not held such appalling views in the first place. She talks about them unapologetically, as if they are somehow natural or understandable, and didn't she do well to overcome them? She is too proud of herself when relating each level of her disgust at disability. Too proud of each harmful attitude she has encompassed. Yes, she might be less disgusted now, but that just means she's where she should have been in the first place. It doesn't mean she should write books and give big talks about how well she's doing because she doesn't hate disabled people any more. I mentioned that this story is part of her future book. Well, the title she has chosen for this chapter: "If you haven't partied with retards, you haven't partied". I think that says it all. Julia, you still have a long, long way to go before you can join any club that I'm in. If nothing else, at least have a good read of Spread the Word to End the R-Word. And that's only the very, very, very beginning. You can watch the talk below, but to be frank, I wouldn't bother. Hardest Hit Demo: Pros and Cons. Tomorrow will see the Hardest Hit campaign against the cuts action in London. It is an opportunity to protest the cuts which will affect disabled people so devastatingly, and join together with other disabled activists. If you can't make it to the march, for whatever reason, you can protest online and there is also a really good guide for writing to your MP. Full details of the route, and frequently asked questions have been made available, and they have also created a flickr group, a twitter list and a facebook page, tuning in well to the influence of social media in recent protests and campaigns. Hardest Hit is also including lobbying MPs about the Welfare Reform Bill into the protest, which can also make a palpable difference to the situation of disabled people in Britain. Hardest Hit has the potential to be a huge and important event for increasing visibility of the issues facing disabled people during these so-called 'times of austerity', and the involvement of several big charities may increase the likelihood of media interest. At a time when disabled people are being constantly vilified in the right-wing press, raising awareness of the issues we face could begin to change perceptions and increase support for disabled people in Britain. The whole of the Where's the Benefit? is dedicated to talking about why the welfare cuts are not only demeaning but downright dangerous, and it would be wrong of us not to mention Hardest Hit. However, not everyone on the team, myself included, feel we can fully get behind the demonstration. Do we ignore the fact that organisations might be viewing disabled people as ‘helpless cripples’ so long as they are prepared to come out and oppose the cuts? We believe it is precisely because we are facing severe attacks upon our rights and lives at this moment in time that there is even more reason than ever to ensure that the messages we’re sending out and the actions we take are clear and work in the long term best interest of all disabled people. I make no apology for saying that DPAC refuses to “turn a blind eye” and betray certain groups of disabled people for some mythical “greater good”. Some may accuse us of cutting off our noses to spite our face or needlessly creating barriers where none exist, however, it is our view that it would be hypocritical of DPAC to speak of defending people’s rights, including the right to independent living and self-determination, if we gave a nod and a wink to anyone who is engaged in activity undermining these rights. When campaign success is going to happen you can count on these charities use their plentiful resources to to sweep in and be there to help government 'resolve' the anger, fear and penalties disabled people face. They get to sit at the table with Government and make sure THEIR business interests get served first, not the interests of disabled people. They take control of matters for government, claiming to be the people who represent disabled people and 'look after us' so nobody else need get bogged down in the detail. A post I wrote last December talked about Disability Works UK, who were bidding for contracts to carry out the Government's compulsory back-to-work schemes. Disability Works UK is made up of 9 disability charities and organisations. 4 of these (Mind, Mencap, Scope and Leonard Cheshire Disability) are listed as supporters of Hardest Hit. I find it hard to understand how they can support a campaign against the cuts, while seeking to profit from the legislation that will result. Would we support a march organised by ATOS or A4e? But the aspect which caused perhaps the most concern was the announcement that Maria Miller had been asked to speak. Maria Miller is the Minister for Disabled People, and she is fully behind the disability benefit cuts. She has, unsurprisingly, turned down the invitation to speak at Hardest Hit, but the fact that she was invited in the first place poses yet more questions about the motivations of the march's organisers. There is always a fear that it is wrong for us to show disunity in public. Will people use that to discredit the movement as a whole, or the good done by parts of it? It's possible, but I also believe that we are doing ourselves a disservice if we do not speak up about what concerns and hurts us. Where's the Benefit? are not endorsing the event, nor are we opposing it. We are here to report on and discuss issues to do with disability benefit cuts, and the Hardest Hit march is without doubt a part of this. Many disabled people are supporting it, and everyone hopes that it is a great success. We all want change, and for many, Hardest Hit is one step towards this. It is well organised, well publicised and could make a real difference. The potential differences in motives and structures are less important than the message, and the impact that this campaign could have. However, for other disabled people, it is more problematic, for all the reasons I have outlined above. So for those of you who are participating, I hope it is fantastically successful. For those not, there are many other ways to protest the cuts. Keep reading here and take a look at DPAC's Week of Action against ATOS Origin, for a start. 1 in 6 women would rather be blind than fat - so? 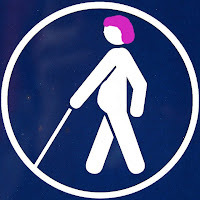 "To become visually impaired, for instance, may be a personal tragedy for a sighted person whose life is based around being sighted, who lacks knowledge of the experiences of people with visual impairments, whose identity is founded on being sighted, and who has been subjected to a daily diet of the personal tragedy model of visual impairment." They go on to explain that the Tragedy model of disability and impairment "is not just significant for non-disabled people in understanding themselves and their own lives. It is extrapolated to assumptions about disabled people and their lives". Non-disabled society's view of disability as something awful which happens to people is very disempowering, and negates the reality that what disables us is an inaccessible society, not the impairment(s) we may have. So, with that in mind, I found the horror with which the revelation that 'some women would rather be blind than fat' was met, to be very telling. Reading between the lines, I hear, Who on earth would rather be blind? Who would choose such a dreadful affliction over fatness? How would that read to a blind woman? Oh em gee, some people would rather be like YOU than be fat! And how would it read to a fat, blind woman?! How much can we disempower disabled people in one go? I agree that this survey suggests some very distressing things about women's attitudes to fatness and weight gain. 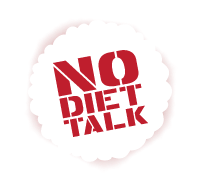 It is depressing that being fat is so feared and so loathed. But saying that the most noteworthy of the things that women 'would rather be' was blind, and then using that as an example of just how incalculably far our body fascist society will make us go to avoid fatness, speaks volumes about our attitudes towards disability too. Maybe if we stopped fat-shaming and equating women’s attractiveness and worth to unreasonable, media-driven standards of beauty, women wouldn’t value their appearance over health.. But blindness in itself is not ill-health! There are very, very many completely healthy blind people, both thin and fat. While I agree with her absolutely about fat-shaming and unreasonable standards of beauty, the rest of the equation does not sit comfortably me, speaking as a fat, disabled woman. It makes me feel like women believe I must have the absolute worst of both worlds, and the last thing I want, when reading feminist websites, is to come away feeling worse about myself than when I started. (With thanks to Leo Reynolds for the image which I used to create the picture above). 1. Does your group meet in accessible premises? 2. In what ways do you meet the needs of disabled feminists who are / want to be members of your group? 3. Are there aspects of access, and other needs, that you find difficult to meet? Why? 4. Is there anything you would like to say about disabled feminists being included in activism? The 3 groups I heard back from all reported that they were doing their best to be accessible, but in some cases were having trouble with this. Funding was quoted a few times as a problem, that finding accessible rooms which were also free to hire was very difficult. Solent Feminist Network, for example, meet in two venues, one of which is accessible and the other not. However, they have a deaf member and have had some good ideas about how to make meetings more accessible to her, and are proactive in inquiring about disability access to other events which they might be promoting or attending. Gloucester Feminist Network are newly formed and have only hold one meeting so far, but did meet in an accessible venue, inspired in part by being accessible to people with buggies as well as disabled access. They were also aware that there is more to access than physical things, and hoped they could meet anyone's access needs as they occurred. Finally, Bristol Feminist Network, whose regular meetings are not accessible. They identified the difficulty of finding free accessible rooms, and of not wanting to meet in places like pubs which might not be 'friendly' to women from various communities. However, they are aware that it is a problem, and are taking the issue seriously by continually seeking more accessible venues to meet. And for events, rather than regular meetings, they do strive to always make those accessible, and also mention that they do a lot of online activism which is more accessible to some people. I think that it is vital that feminism looks across all privileges and takes intersectionality seriously and does all it can to be accessible to all. I cannot tell you enough how long we have spent discussing and talking about trying to find the right venue. It will happen because we cannot continue to work in this way. Disabled feminists face discrimination on many levels, vawg [violence against women and girls] effects disabled women at disproportionate levels, workplace discrimination and the cuts are affecting disabled women - we need to work together to fight patriarchy. One of my first posts at the F Word raged about this issue, and while I stand by how infuriating the situation is, I also cannot rage at individual feminist groups for not meeting in accessible venues. As long as businesses and organisations completely ignore the Disability Discrimination Act and Equality Act and do not provide reasonable adjustments, for instance a ramp or an induction loop, then it is harder for local, grassroots groups to find places to meet that do meet even the legal criteria, never mind the ideal. The groups I heard back from were at least aware that they may not have as an accessible a group as they wanted, and I do wonder if they replied because of this. The groups I did not hear from may be doing better, or worse, or have not considered the issue, but I only had just over a week to gather responses so it might just be that they did not have time to reply. There are some recommendations I would make, however. All feminist groups should, at the very least, have a prepared statement about how accessible their meetings and events are, to disabled people. Ramps, large print leaflets, a quiet room somewhere nearby, regular breaks, an induction loop system installed, accessible toilets, grab rails, accessible parking, nearby public transport, whether steps have handrails, etc. etc. The best way to find out how accessible your meeting place is, is to ask disabled people to tell you. Often centres for independent living and other disabled groups offer accessibility surveys. If this is an issue your group has not looked at in detail, it has to start being one. You are not representing women, you are not supporting or fighting for women, if a large group of women can't get in, especially if you haven't considered it. Don't believe that you only have to start looking at disabled access when a disabled woman expresses an interest in your group. If there isn't an accessibility statement on your website, or even if a woman sees the venue you meet at, and knows she cannot get in, she may well not contact you to express an interest. The assumption will be made, and you may never know about it. Don't look at the issue as 'letting' disabled women take part, or that you should be an accessible group because it's the right thing to do (although it is). Do it because disabled women have new and different skills, opinions and tactics to contribute to the group, like any new woman who gets involved does. You're not doing us a favour, you're doing yourselves one! If you have limited choice of venues, which are inaccessible, take the initiative and put pressure on those venues to become DDA-compliant. We disabled folks sometimes get tired of always being the ones battering the doors down to try and get in - others taking responsibility to hold businesses to account as well can only be a good thing. Don't assume you know. It is ok to not know, and holding disability awareness events and training for your group, preferably run by disabled people, is a good way to get an understanding of living with impairments, and of the ways society disables us. Because, key to the Social Model of Disability is the understanding that we are not disabled by our bodies or minds, but by steps, small type, complicated language and tiny toilet stalls. If you have a website, do your best to make sure it meets web accessibility standards. If it can be read by a screen reader, and text size easily adjusted, this is a good start. Making easy-read alternatives to your leaflets available on the site is really useful to many learning disabled or neuro-diverse people, and large-print leaflets, and transcribed videos for visually impaired and hearing impaired people. 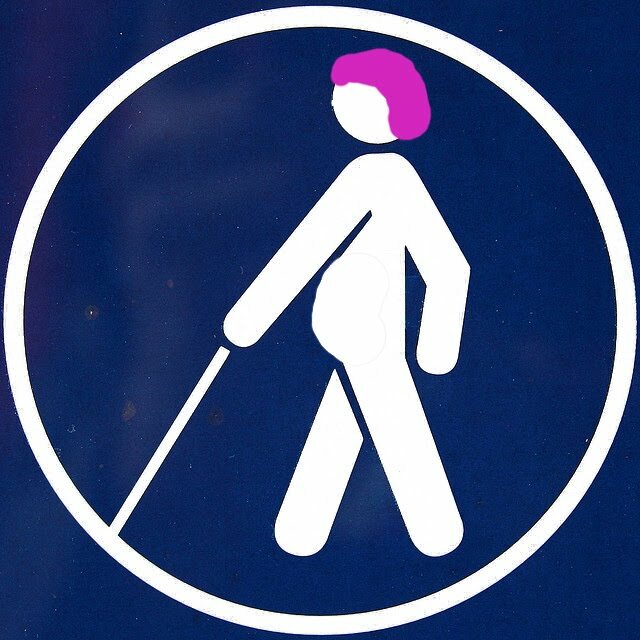 Please let me know in the comments of how best you think feminist groups can be accessible to disabled women.